The hand and wrist are complicated parts of the body. When you have hand pain, wrist pain, or have suffered an injury, you want a doctor who is highly experienced with problems like yours, and that is what you will find at MD West ONE. The hand surgeons at MD West ONE are fellowship-trained, which means they have taken additional training in hand and wrist beyond their medical and orthopedic specialty training. These surgeons have an exceptional understanding of every part of the hand and wrist, down to the microscopic workings of blood vessels and nerves. From hand arthritis, carpal tunnel, workers’ comp injuries to wrist sprains, MD West ONE's hand surgeons will help you find relief from your hand or wrist pain. 80-95% of our hand specialists cases are focused on the hand and wrist, giving them unparalleled expertise in a wide range of hand and wrist conditions from simple to the most complex. 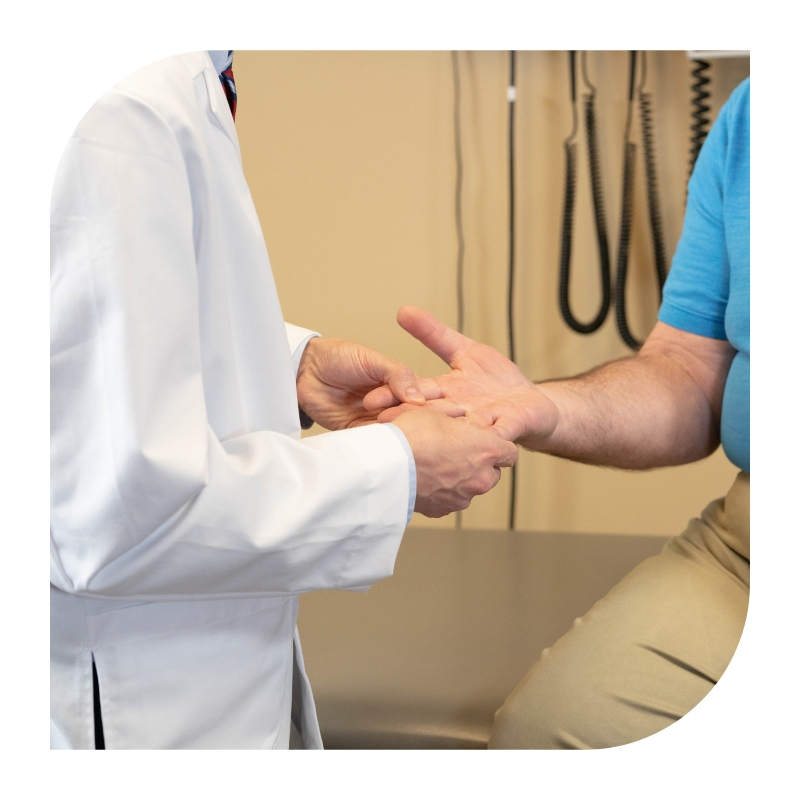 → Make an appointment if you are experiencing signs and symptoms of arthritis in your hand or wrist. A hand surgeon will need to distinguish boxer’s fractures from other metacarpal fractures, which break the shaft of the metacarpal, or fractures of the base of the small finger. These injuries may need different treatments. → Make an appointment if you are experiencing signs and symptoms of boxer's fracture.